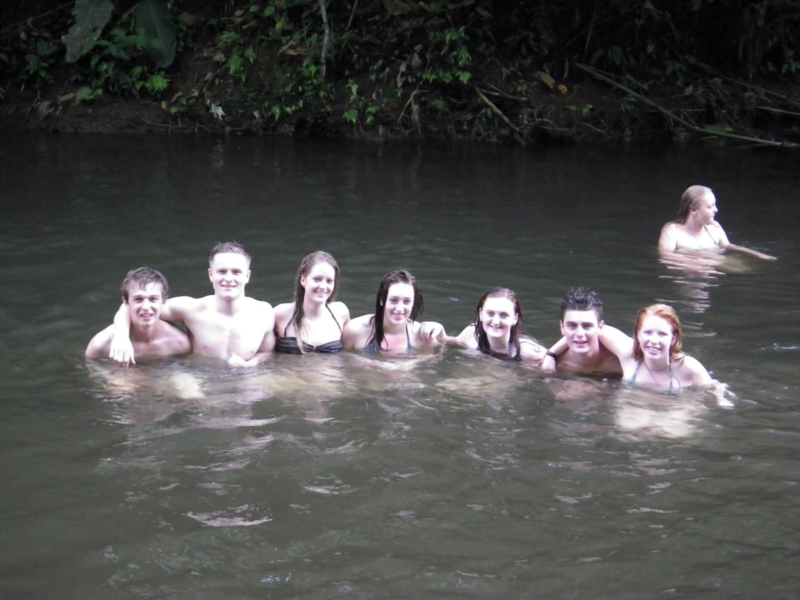 Taking a gap year was the best decision I ever made. I wanted a gap year after school because I felt that education is not found in just the classroom, but also in the wider world: in interacting with different cultures, and grasping opportunities that push you out of your comfort zone. I wanted to explore beyond the school bubble that I had been accustomed to for 14 years, and gain a new perspective on the world. I thought that a gap year would help with university studies, and enhance my employability. 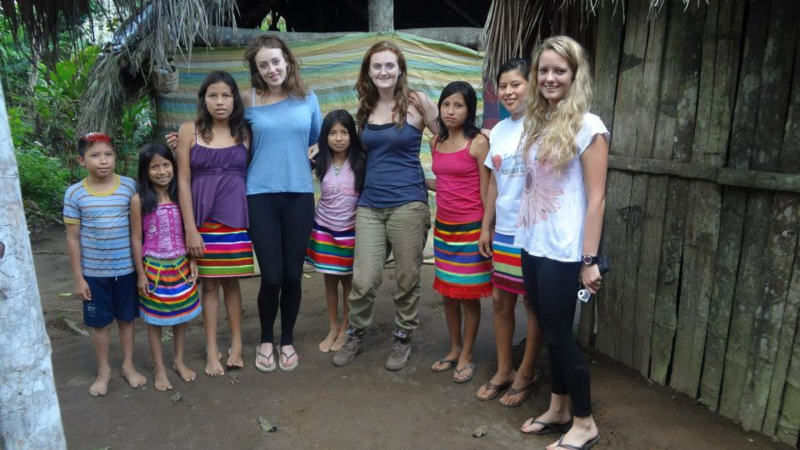 I was keen that my gap year should involve a volunteering project, as I had enjoyed volunteering in the past. I studied French and Spanish and love languages, so I wanted a project that would improve my language skills. I was inspired by the projects offered by the gap year organisation The Leap, following a talk at my school. Their projects involved diverse volunteering opportunities in different countries: teaching, environmental, marine and wildlife conservation, construction, and many more. 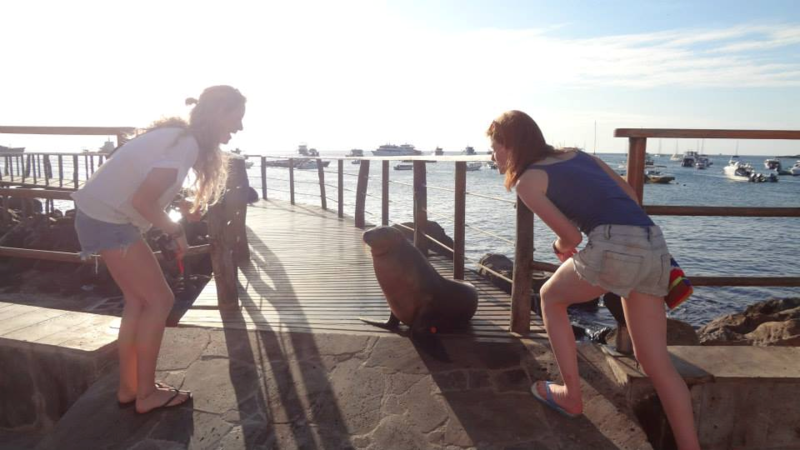 I have always been enchanted by South America, and the diverse nature of Leap’s Ecuador and Galapagos project sparked my interest. 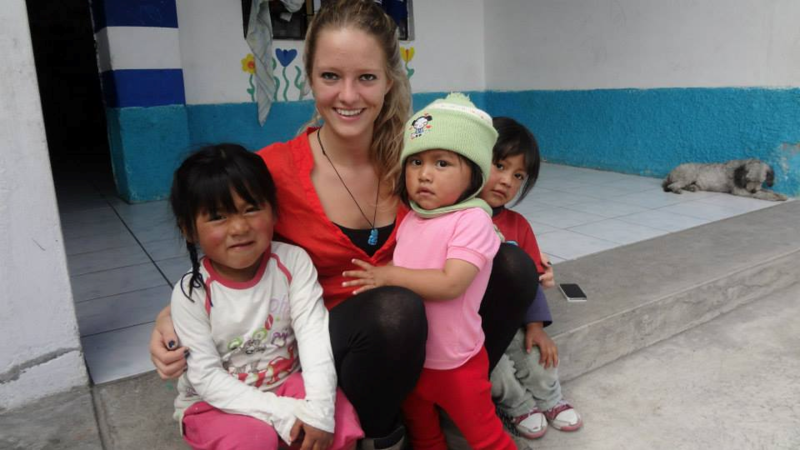 I would be able to live and volunteer in four different areas of Ecuador, and improve my Spanish. So I signed up to Leap’s 10 week the programme. I needed to raise around £4000. I first worked at the Edinburgh Festival as Front of House Assistant, which was an amazing experience. I then gained my National Pool Lifeguarding Qualification, and worked as a Lifeguard for 6 months. I child-minded on a regular basis, and I was able to raise more than enough to volunteer in Ecuador and the Galapagos, and then to travel through South America. I arrived at Heathrow Airport and met the group of 15 volunteers with whom I would be living and working for the next ten weeks. We flew to Ecuador, and arrived in Quito, the capital, 15 hours later. We were greeted at the airport by Merika and Max, the leaders that The Leap, working with the Ecuadorian NGO Yanapuma, had assigned to our group. The first few days were spent in Quito, where we were given introductory talks regarding our volunteering, Ecuadorian culture, health and safety, and Spanish Lessons. 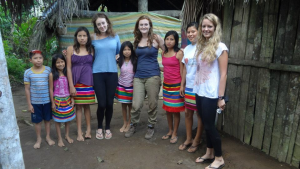 We then travelled to the lowland jungle of Ecuador, to Santo Domingo, to volunteer with the indigenous community, the Ts·chila Tribe. We lived and worked in the jungle for 3 weeks, working on sustainable development projects, reforestation, construction, and teaching. We planted hundreds of Cacao trees, built a youth centre, a house, and taught English in the evenings at cultural exchange classes. 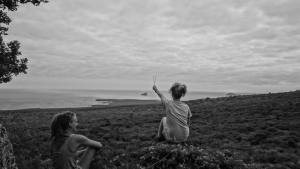 We learnt some of the Ts·chila tribal language, Ts·fiki, and Spanish. We formed a close connection with the Ts·chilas, and both cultures learnt a great deal from one another. 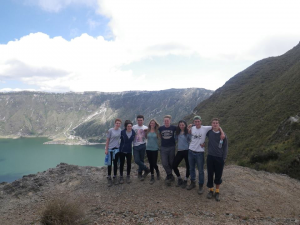 Next, we travelled to the Andes for 3 weeks in the Village of Chilcapamba, near Otavalo, where we worked in the local nursery, built roads, completed conservation work in a National Park, preparing it for a grand re-opening by the Mayor of Otavalo, and had daily Spanish lessons. The Leap then sent us on an ‘adventure week’ during which we travelled around Ecuador. 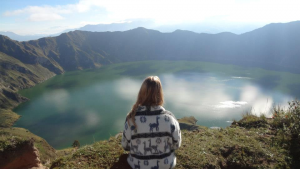 We went to the beach in Canoa, ziplining through cloud tree forests in Mindo, white water rafting near BaÒos, and we canoed across the Volcanic Crater Lake of Quilotoa. 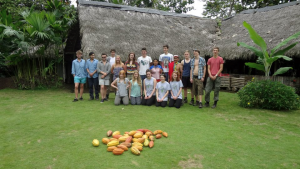 After this we went back to volunteering, and travelled to the island of San Cristobal in the Galapagos, to the ‘Hacienda Tranquila’, a conservationist farm on the island. We helped disabled children ride horses, known as Hippotherapy, looked after the animals in the farm, and participated in conservation work, planting, building fences and tortoise shelters, and removing invasive species of plants. I had the most incredible, life-changing experience in Ecuador and the Galapagos. I loved South America, its people and culture so much that, after 10 weeks volunteering, I decided to travel for two months through Peru, Bolivia and Argentina. Did the project benefit the local communities? The project certainly benefitted the local communities. 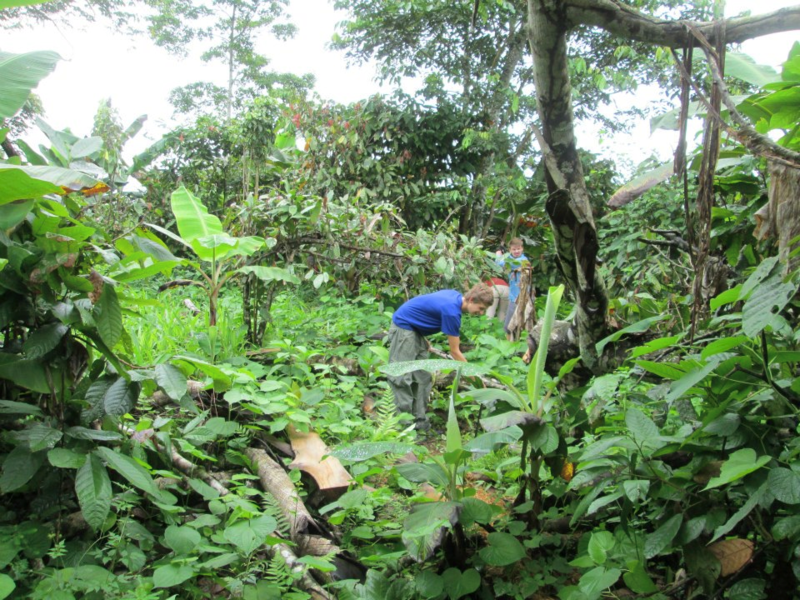 We helped the Ecuadorian farmers increase their produce by creating more sustainable development projects. The Ts·chila culture and heritage are in danger, but Leap’s projects raise awareness and help to preserve it. Our conservation work and preparation for the National Park Opening were appreciated by the local community and should encourage tourism. The local teachers were grateful for our presence, and the special needs children were helped through Hippotherapy. 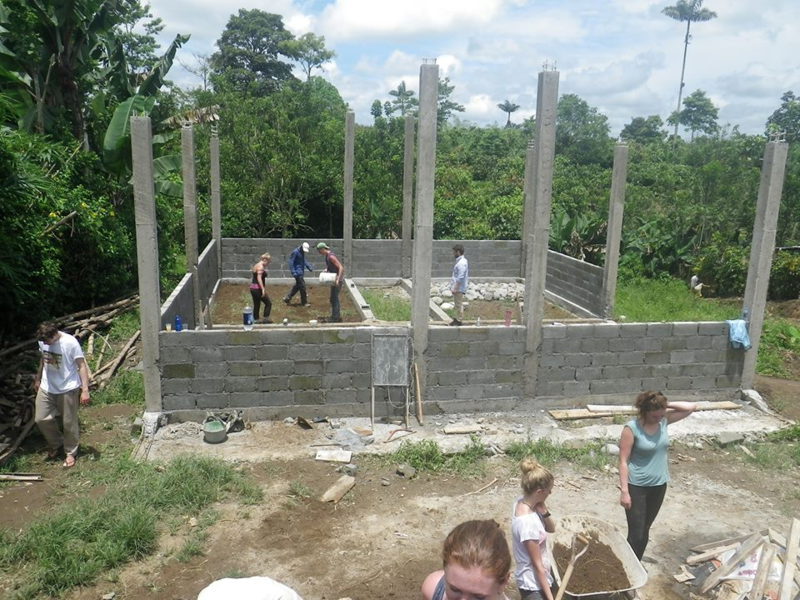 I would 100% recommend participating in a volunteering project during your gap year. It will be a great adventure, a life-changing experience, and one of the most rewarding, exciting things you will ever accomplish. It will give you a new perspective on the world, and prepare you for the next stage of your life. It will also enhance your CV. Choose your gap year organisation carefully; the legitimate companies are the ones where your money goes mainly to the project and local community. Step outside your comfort zone and try new things; taking a gap year and volunteering may be the best thing you have ever done! After a year in France on an Erasmus placement studying French Law at Poitiers University, in 2016 Lucy starts her fourth year at Bristol University in ‘Law with Study in Continental Europe’. She hopes to pursue a career in Law, with an international element.